If you have a background in teaching or education, you may want to check into the many earning opportunities available at eNotes. The eNotes site has been in existence since 2003, and it is currently a major online educational resource for both students and teachers. Students can use eNotes to get homework help from actual teachers across a variety of different subjects, and teachers can use it to get advice from other teachers as well as find lesson plans and classroom activities to use in the Document Exchange section. Offering your academic expertise in the “Homework Help” section. The questions posted are asked by students and occasionally other teachers. Contributing original content to eNotes. They have open assignments available that you can claim. Contributing to the document exchange. They always have a need for lesson plans, classroom activities, and other documents that are original. The eNotes service is not free for students or for teachers looking to purchase lesson plans or ask questions. They have monthly subscription fees that both students and teachers who use eNotes pay to get the homework and classroom help they need. This is how they make money and how they can pay you for your contributions if you sign up as an eNotes educator. How much do you get paid for contributing? This information has not been easy for me to come by. It isn’t posted on the eNotes site and an internet search doesn’t pull up much. However, I did find some information on a blog post here that lists pay amounts. The post was written in 2009 so I don’t know how accurate it still is. The blog post states that eNotes pays $1 for every document submitted, $2 for every question answered, and $1 for every comment posted on a discussion board. I don’t know if eNotes is still paying people to post on discussion boards because I no longer see that option listed on their “Apply to be an educator” page. Unfortunately, I have no information on how they pay at this time, but the person who wrote the blog post I linked to above mentioned receiving a check in the mail. There is a super short form to fill out here. You just have to provide them with some basic information and list your qualifications. They don’t say specifically what kind of teaching qualifications you need to be considered, so I would suggest applying just to see what happens if this interests you and you have any sort of educational background. I am not sure if you can do this worldwide. There is nothing on the site to indicate that this isn’t open to teachers in other countries unless I’ve missed something. If you aren’t a teacher but you know a teacher or educator who might be interested in doing this for extra money, feel free to pass it along! Also, see this other list I made with various ways teachers can earn money from home. 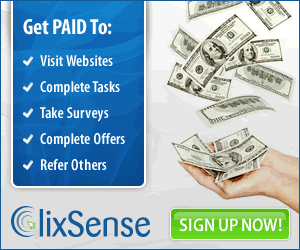 Get daily suggestions and guides for making THOUSANDS OF DOLLARS per day FROM HOME totally FREE. Did you know that a lot of people are getting paid from $250 to $750 for a minute of their time just voice recording in a computer? I make $20 for each 20 minute survey! Guess what? This is exactly what big companies are paying me for. They need to know what their customer needs and wants. So large companies pay millions of dollars every month to the average person. In return, the average person, myself included, participates in surveys and gives them their opinion. Thanks for sharing this valuable info. What’s up I am Sara from Australia, this time I am viewing this Educational Site for eNotes, I am genuinely happy and learning more from it. Thanks for sharing this great informative blog with us. Learn here How to build a cannabis website or an educational website in 2019 that will boost your business.